Join The Chapelboro.com March Madness Bracket Challenge! March Madness has officially begun, UNC has earned a No. 1 seed, and everyone is invited to join the 97.9 The Hill WCHL/Chapelboro.com bracket challenge! Click this link to create a bracket on CBS.com. Users must first create an account on CBS.com before joining our bracket challenge. 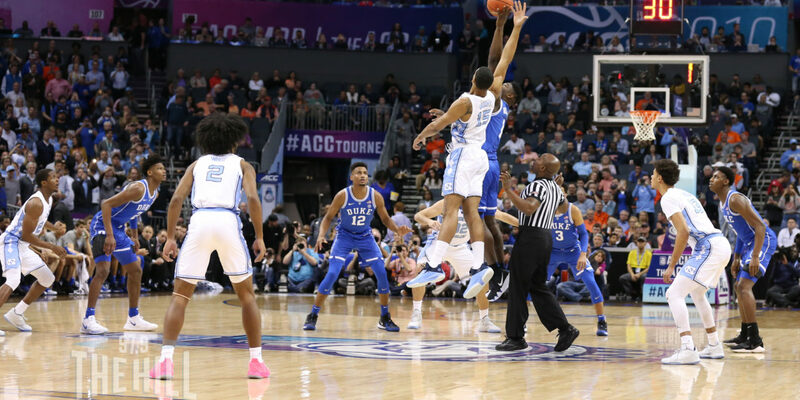 Each user can create one bracket to be used in the tournament and the overall winner of our March Madness bracket challenge will receive a $100 gift card to the Chapel Hill Restaurant Group. Normal scoring rules apply (1 point for Round 1, 2 points for Round 2, 4 points for Sweet 16, etc.). A tie-breaker will be determined using the championship game’s total score. Do you think you’re the March Madness master? Will Roy Williams and Carolina overcome the odds to earn the seventh national championship in school history? Or will Duke, Gonzaga or another contender steal the title away? March Madness play begins later this week. 97.9 The Hill WCHL will broadcast every UNC game during the tournament on 97.9 FM and 1360 AM.